Months ago, I blogged about Fujiyama Seimen, their spicy Orochon ramen, and their massive portions of tsukemen. A month or two back, they replaced the "Fujiyama" sign with a new one reading "Mitusyadô" (House of Three Arrows) - some kind of corporate merger I think? 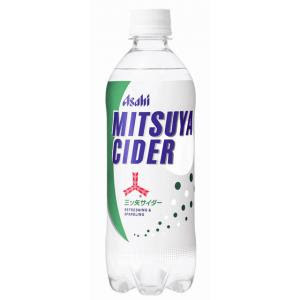 The only other place I've seen the name Mitsuya is in relation to the well-loved sparkling soda Mitsuya Cider, but I'd be surprised if there was any relationship. In any case, all of the Fujiyama Seimen shops in Tokyo seem to have been rechristened with the new moniker. Everything else from decor to menu seems to be identical, but the name is different. Go figure. My buddies K and K were coming into the city from Saitama and wanted to get some noodles, so I figured it would be as good a day as any to give the place a review after it went under new management. Mitsuyadô is located in a huge, two-story storefront with a traditional facade, right on the northwest corner of the intersection of Meiji-dôri and Waseda-dôri, next door to the neighborhood's best heavy metal dive / part-time fortune telling parlor, the Harley Bar. Like before, the inside is all done up more like a proper restaurant than a ramen shop, with no counter really to speak of, fancy light fixtures, and wallpapered walls decorated with black and white photos of ramen shops past. One of Mitsuyadô-nee-Fujiyama's big selling points is the fact that they make their noodles in house. Lots of shops advertise jikka seimen (house-made noodles), which indicates that the noodles are prepared especially for the restaurant rather than outsourced from a general supplier. This often means an exclusive offsite manufacturer calibrated to the shop's specifications, but in the case of Mitsuyadô, they are made right in the shop's front window, next to the door. Check out that fat roll of noodle dough! The double ("W") cheese order gets you a heaping plate of thick fresh noodles powdered with a generous helping of parmesan cheese in addition to a small saucer full of thick, orange, gross, awesome, awesomely gross, and grossly awesome velveeta-like processed cheese. I fully encourage the continued breaking of boundaries between ramen, nachos, and macaroni and cheese. ...mixed it up, and tried a bite before dipping the cheesy noodles in the accompanying broth. K and K expressed some doubt as to whether the dish was really even ramen anymore, or just pasta, which is a valid concern. But after a bite, it was clear that these noodles were definitely still Japanese-style and not Italian. I was tempted to keep slurping away and just ignore the dipping tsuyu soup, but that wouldn't be right. Mitsuyadô's tsukemen broth may not be quite as thick as Taishôken's down the road, but it's laced with yuzu (Japanese citron) extract, giving it a fruity fragrant flavor. So...velveeta, parmesan, citrus, fish and soy broth, green onions? Doesn't sound like a match made in heaven, but it tastes damn fine. I made short work of my hefty pile of noodles - Mitsuyadô offers free upgrades to all but the largest tsukemen portions, which breach the kilogram mark. K and K, who had ordered more standard noodles, agreed that the combo worked, even if the processed cheese sloughing off into the broth was a little bit unpleasant to look at. Short story long, Mitsuyadô has got it going on just as much as the old Fujiyama did. Hella satisfying. holy $hit. i have a weakness for cheesy noodles. i love cheese in my ramen, for instance. anywho this is ryan's friend. he always talks about you and since i'm a food whore he often recommends your blog. keep up the good work. hey jenn, thanks for posting. ryan is always talking about you and the other san francisco crew kids all the time too. i saw on your blog those pics of the farrallon islands - you know that is ryan's ultimate dream / nightmare vacation spot right? hey nate, thanks. oh yeah, you like the seasickness documentation? i love sharks as much as ryan fears them. i got him this sick shark keychain and i think he secretly hates it. you are extremely prolific blogger. impressive! I've tried about half a dozen menu items at the Nakameguro location, and the double cheese is tops. Hella good indeed.